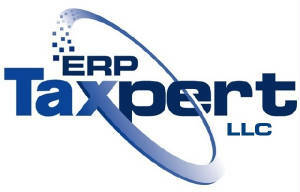 Welcome to ERPTaxpert, Ltd. We are a full service technology consulting organization. We specialize in the delivery of interfaced sales & use tax solutions for Enterprise Resource Planning customers operating in complex, multi-state environments. We design and implement interfaces from ERP host systems (SAP, Oracle, JDE, PeopleSoft, and home grown systems) to the various third-party sales and use tax determination products (Sabrix, Taxware, and Vertex). If you have an ERP system, you probably have sales & use tax compliance issues, right? We are THE experts in identifying and correcting those issues to increase compliance and save money in system operation and ongoing maintenance costs. We have many years of experience as the primary implementer for interfacing third party Sales & Use Tax software to your ERP host system.